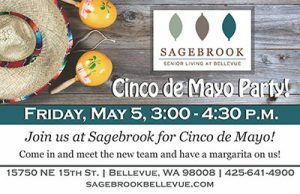 Join us at Sagebrook for Cinco de Mayo. 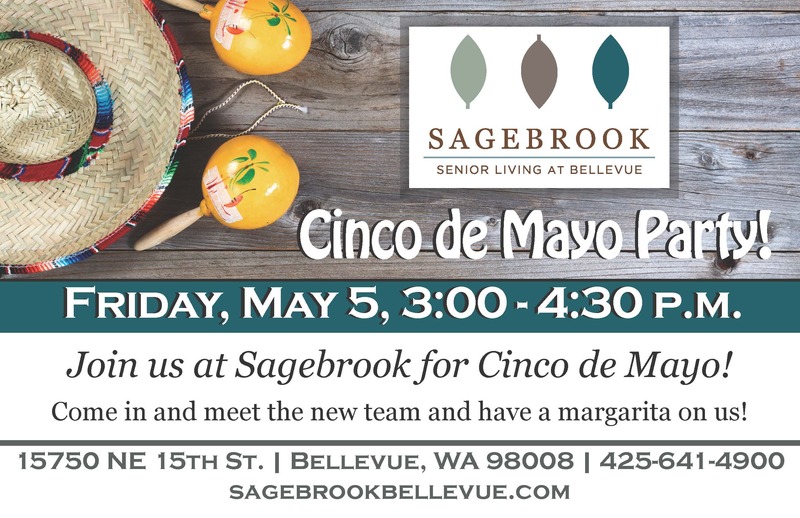 Come in and meet the new team and have a margarita on us. Come in and meet the new team and have a margarita on us. Please RSVP to Gwynne 425-641-4900.